For those concerned about the impact of coal-burning power plants on the world’s environment, the good news seems to have been arriving thick and fast lately. Coal is the most polluting of fossil fuels and, according to the International Energy Agency, accounts for about 45 percent of global energy-related CO2 emissions. In mid-July, the World Bank announced it was significantly scaling back funding for coal-fired power stations due to concerns about emissions and global warming. In the future, said the Bank, it would limit such financial assistance to “only rare circumstances.” Then the US Export-Import Bank announced it had decided not to support funding for a multi-million dollar coal-fired power plant in Vietnam. A few days later the European Investment Bank (EIB) — the world’s biggest public bank – followed the World Bank’s lead, introducing new lending criteria which, if properly implemented, would rule out future financial support for lignite and so-called “dirty coal” power plants. There were also indications the European Bank for Reconstruction and Development (EBRD) could be bringing in coal-lending restrictions. But, as a pessimist might say, every silver lining has a dark cloud attached to it. A big test of the World Bank’s resolve will likely be made early next year when it will decide whether to give funding guarantees to a highly controversial power plant using “dirty” coal in Kosovo. 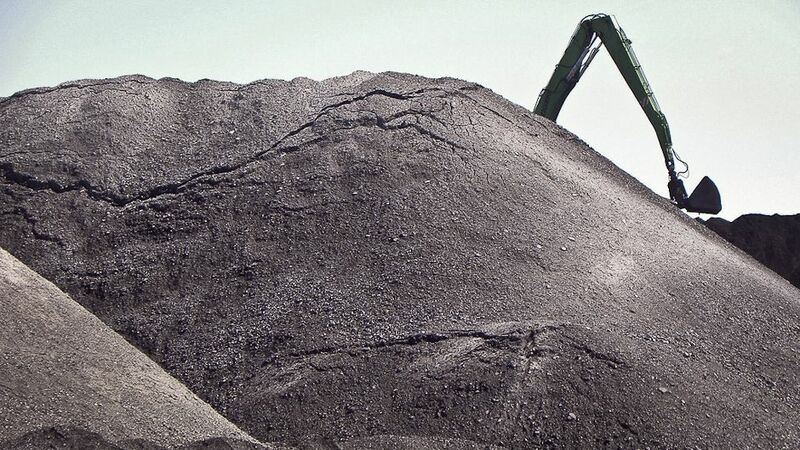 The EIB’s new criteria on coal lending — tied to specified limits on fossil fuel power plant emissions — have been criticised as being too generous to polluters, while the US Ex-Im Bank continues to back coal-fired power stations in many parts of the world. And then there’s the bigger picture: the world is using coal for energy generation like never before, and projections are for consumption to grow by at least a third by 2040, possibly by a half if the worst case scenarios are fulfilled. The US Federal Energy Information Administration (EIA) has just released its comprehensive International Energy Outlook 2013. The EIA says world energy consumption is likely to grow by more than 50 percent over the period 2010 to 2040, with fossil fuels supplying 80 percent of the total, despite a growth in renewables and nuclear power. It sees coal as remaining dominant in the electricity generation sector: global consumption will rise by 1.3 percent a year — from 147 quadrillion British thermal units (Btu) of energy in 2010 to 180 quadrillion Btu in 2020 to 220 quadrillion Btu in 2040. While much of that growth will come from the rapidly growing economies of China and India, coal consumption is at present rising rapidly in other parts of the world. The shale gas boom in the US means record amounts of relatively cheap US coal are now available for export. The EIA says US coal exports were more than 115 million tons in 2012, more than double the 2009 figure. The EU is by far the biggest customer for US coal, with exports to the UK alone going up by about 70 percent in 2012. A big jump in UK coal use is deemed to be largely responsible for a 4 percent rise in UK CO2 emissions last year. Meanwhile Germany, the EU’s economic powerhouse and a country often regarded as a leader in cutting CO2 emissions, is gradually upping its coal use. It all makes grim reading for those hoping to limit CO2 emissions and prevent runaway global warming. Even in the US — where much has been made of the switch away from coal to less carbon-intensive gas — coal is making a comeback. With coal prices falling and natural gas prices rising, the EIA says coal’s share of US power generation in the first four months of 2013 averaged 39.5 percent, compared with 35.4 percent in the same period last year. US greenhouse gas emissions have been falling over the past four years: watch out for a rise this year. This post appears courtesy of Climate News Network. Bank Curbs Won’t Slow Coal’s Comeback by Kieran Cooke is licensed under a Creative Commons Attribution-NonCommercial-ShareAlike 3.0 Unported License. Kieran Cooke is co-editor of the Climate News Network. He is a former BBC and Financial Times correspondent in Ireland and Southeast Asia.